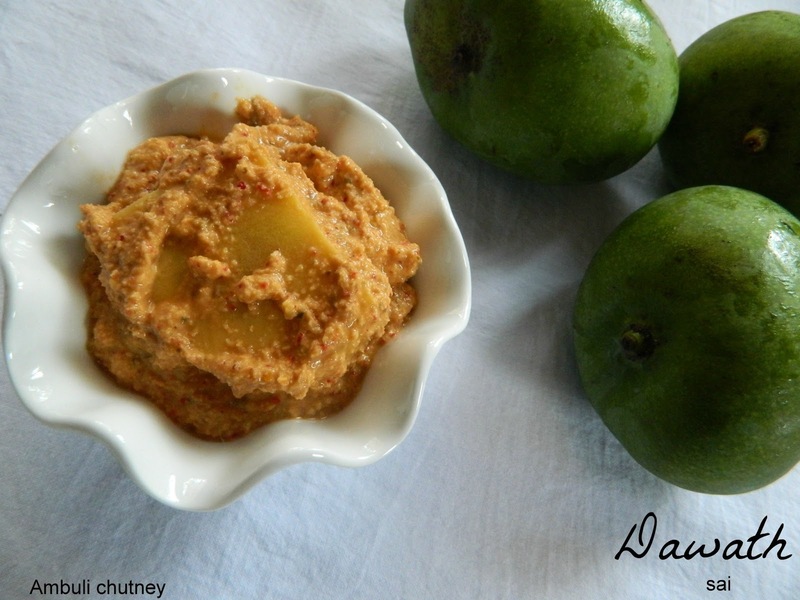 Ambuli means raw mango.This chutney is a common chutney of the GSB cuisine and there are different variations of the recipe.This is most commonly prepared during the raw mango season. This chutney is a saviour when one looses appetite. This also makes a great side dish. 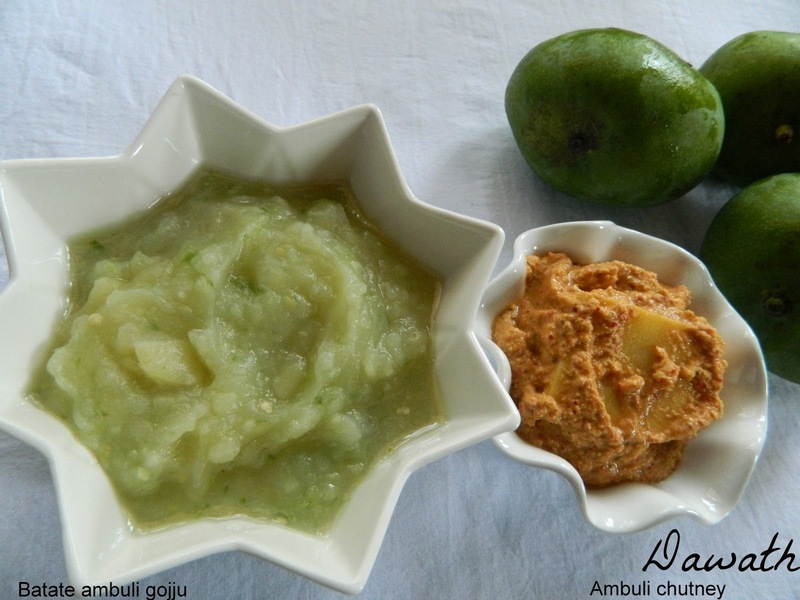 Please check the recipe of Batate Ambuli gojju too.We also store the raw mangoes in the brine during the season for nearly a year and use it whenever required to make gojju’s and chutney’s. Grind grated coconut,chilly and garlic to a fine paste. Lastly add mango pieces and salt to taste and grind further for a minute. Transfer the chutney to a bowl and add a dash of oil and mix it. You may also add the mango seed for extra taste. You may also add only green chillies according to your taste instead of red chillies or vice versa.